Комфортные практичные школьные брюки классического силуэта. Высокая износостойкость. Ткань костюмная отличного качества. Качественный пошив, аккуратные швы. 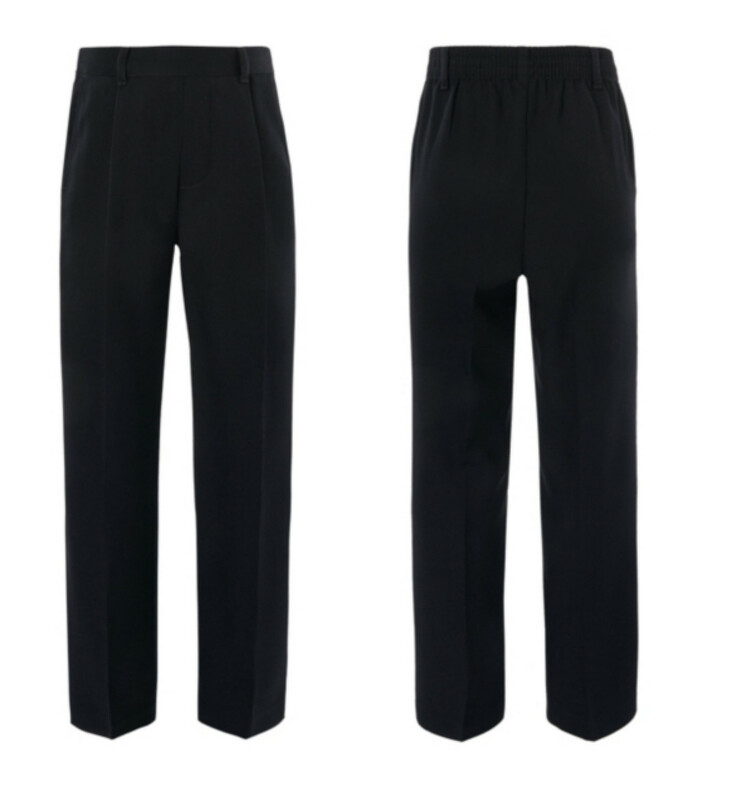 Essential clothing for the school year, these are smart, practical trousers that are easy to wear and stylish for the classroom. Designed with a half adjustable waist at the back, you can be sure of an even better fit. These trousers are Teflon® coated to repel stubborn stains, and include front pleat, belt loops and twin front pockets. - 7-8 years & up feature hook & eye zip fastening"